Born in Ekaterinburg (Urals region of Russia) in 1994. Ivan attended the Ural Music College (class of professor Igor Paratchuk) and the Central Music School at the Moscow State Conservatory named after P. Tchaikovksy (class of an honoured artist of Russia professor Eugeny Petrov). 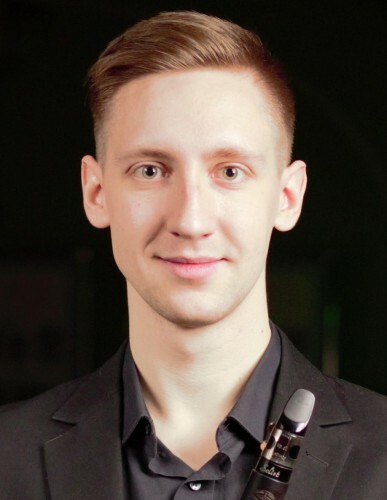 At present, he is studying at the Moscow Conservatory at the class of the same professor. 2010 - Grand Prix of the All-Russian Ural Fanfare Competition (Magnitogorsk). 2016 - the 2nd prize of the 2nd All-Russian Musical Competition and the 8th International Moscow Conservatory Woodwinds, Brass and Drums Competition. 2017 - the 1st prize and Grand Prix of the 4th International Rimski-Korssakov Competition (St.Petersburg). He is awarded the Ekaterinburg City Fellowship. He participated in workshops by Ivan Mozgovenko. He extensively performed with various orchestras: Dmitri Orlov Symphony Orchestra, Symphony Orchestra of the State Musical Pedagogical Institute named after M. M. Ippolitov-Ivanov, Chamber Orchestra of Ivanovo, Symphony Orchestra in Chernigov, etc. He performed in an orchestra in the halls of the Moscow Conservatory, in the Central Military Orchestra of the Ministry of Defense.